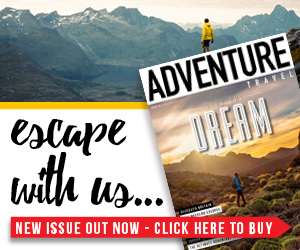 If you’re anything like us, the promise of breathtaking views is at the top of our priorities when heading out on an adventure, but we also like to get the heart pumping and the legs burning. 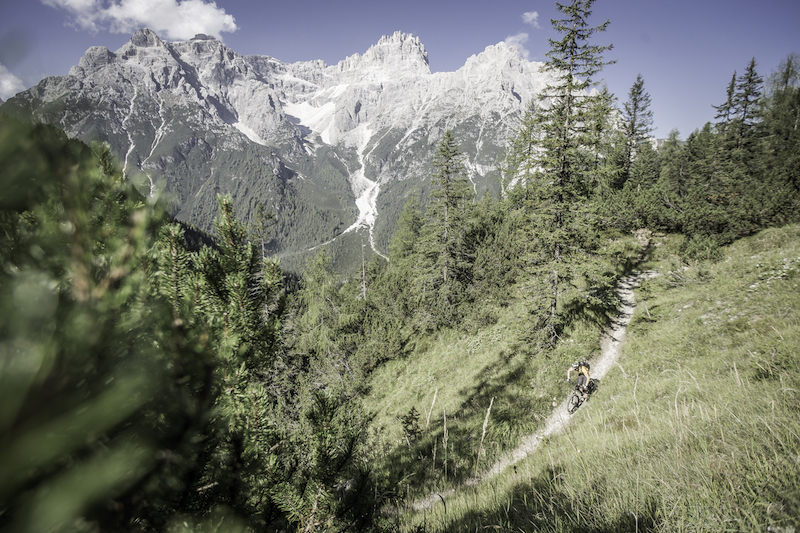 That’s why we love mountain biking so much, and what better place to explore on two wheels than South Tyrol and the Dolomites? At 75 miles, the Stoneman Trail is quite the undertaking, but the great news is that you can break it down over several days. Designed by professional mountain biker Roland Stauder, the trail has five different checkpoints, easily allowing you to tick off individual sections as you see fit. As it’s a marked route, it’s reasonably easy to follow, and with the Stoneman starting package, you’ll be given a passport in which you can get stamps after each stage. Upon completion, you’re name is added to the official Stoneman Trail website and you can even get a trophy. The route includes a lot of elevation gain, so to make it easier there is a different variant that makes the trail accessible to all abilities. 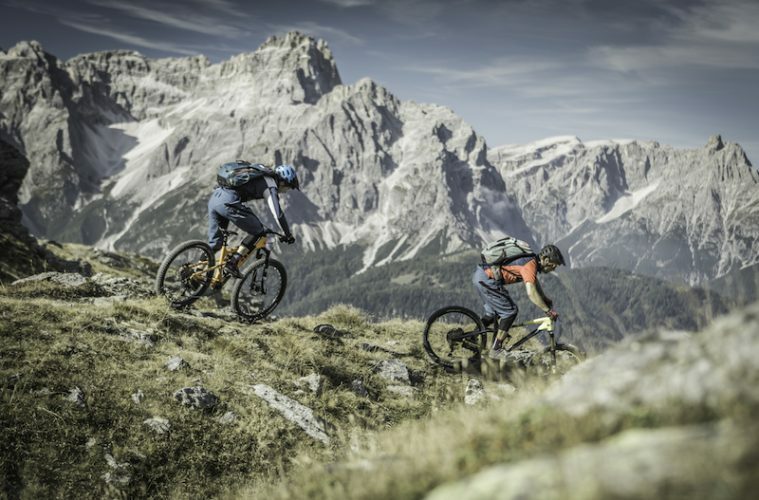 Of course, you could choose to hire an e-mountain bike instead, giving you a helping hand on the ascents. 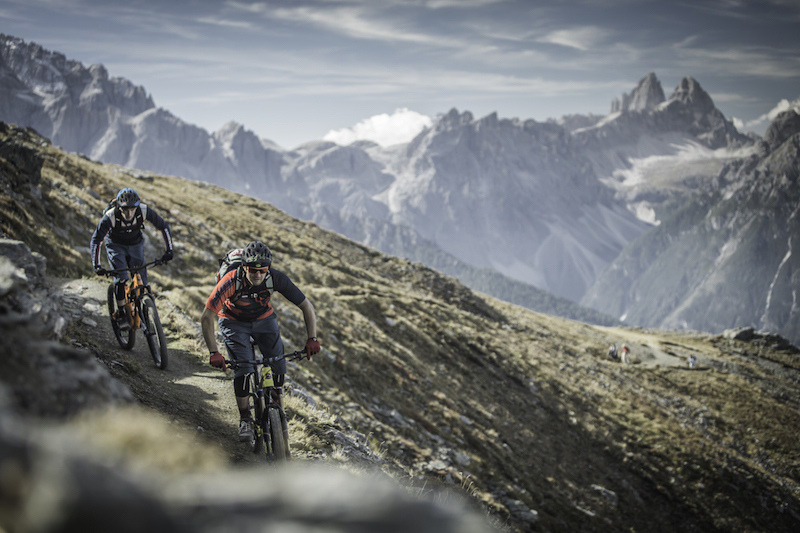 The trail will take you high into the Dolomites, immersing you into nature and bringing you as close to the monumental alpine landscapes of this region as you can ever hope to get. Find out more on the Stoneman Trail website. 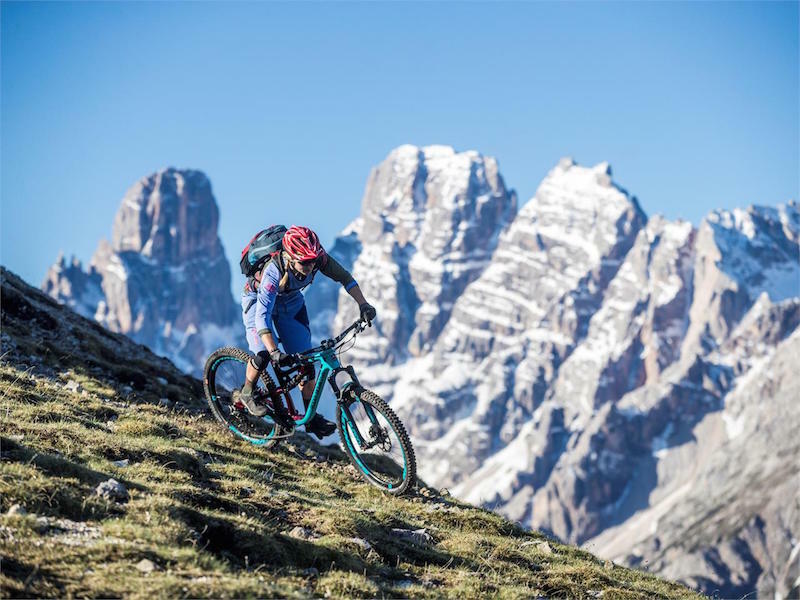 The great thing about cycling in the Dolomites is that you can make the most of the cable cars that are in place and concentrate on enjoying the scenery and the trails. 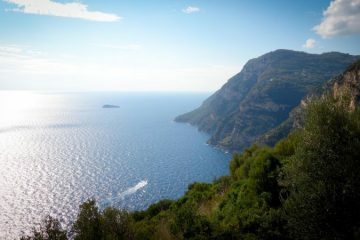 The Giro Bike Tour is a fantastic example of that, as you’ll climb just 360m on your bike and 3,110m by cable car. This means you can get into the heart of the mountains without having to wear yourself out. 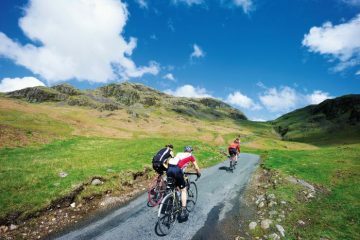 The Giro Bike Tour is just under 30 miles long and is one of the essential experiences you need to enjoy on a visit to the Three Peaks region. 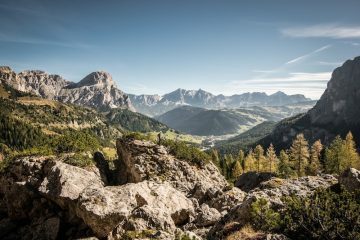 Taking you through the heart of the Dolomites UNESCO World Heritage Site, the route will see you pass over five mountains, with expansive views over the heart-achingly beautiful peaks, valleys and pastures of the area. When tackling this route, you have a choice. You can either sign up to a guided tour by standard mountain bike or e-mountain bike, or you can choose to do it yourself and hire a bike. Whichever way you choose to do it, make sure you schedule in a stop or two at one of the mountain refuges you pass, where you can refuel while enjoying fine food and drink. While the previous two routes mentioned here will take you into the mountains, the Drava Cycle Path keeps you down in the valley, meaning it requires a lower level of fitness and is much more accessible. The 30-mile route takes you from San Candido in Italy, to Lienz in Austria’s East Tyrol. It’s a great trail for cyclists that aren’t the most confident, as the route is almost always away from the road and is suitable for all types of bikes. As a bonus, it’s pretty much all downhill too. While the majority of the route, which follows the Drau River, is on a well-maintained trail, there are various points along it where you can venture off onto the many off-road trails that shoot off into forests and away from the valley floor. Plus, there are plenty of places to stop for refreshments, and you can even cut the route short at one of several bus stops along the way. Often referred as a jewel in the Dolomites, Prato Piazza is a pasture that sits approximately 2,000m above sea level and offers stunning panoramic views of the nearby mountains such as Picco Vallandro and Croda Rossa. Once here, visitors have the opportunity to enjoy the peaceful surroundings of nature while the majestic peaks of the Dolomites form an incredible backdrop. 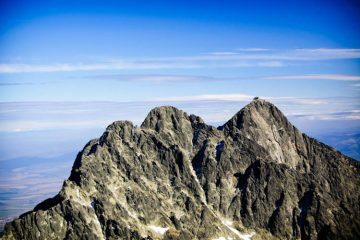 The official website for the Three Peaks region documents a stunning circular route to Prato Piazza, starting in the commune of Dobbiaco/Toblach and taking you up to the pasture via a series of roads, tracks and trails. The route itself is fairly challenging due to the elevation gain (960m), but if you’ve got something left in the tank we’d certainly recommend adding on an extension to Lago di Braies. The lake is one of the most beautiful spots in all of the Dolomites and you can cycle along its shores while enjoying scenery that only seems possible on postcards. 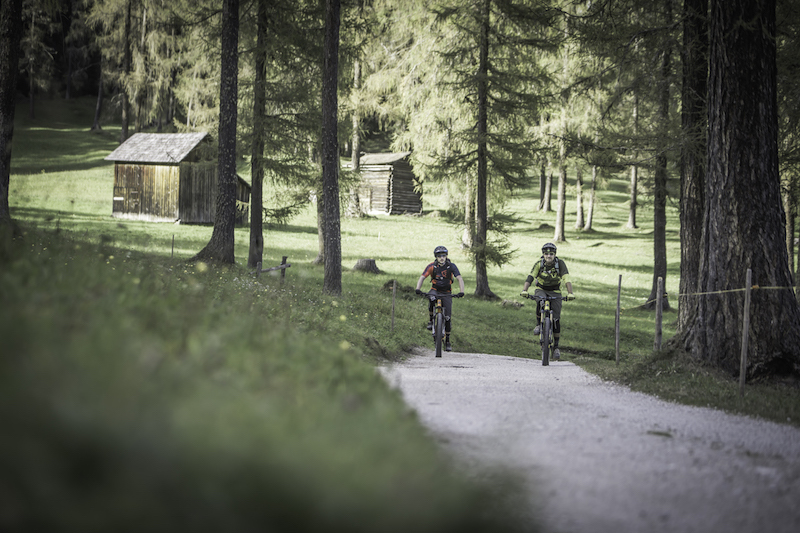 Starting in San Candido, this route (as detailed on the Three Peaks website) is a beautiful ride that is very accessible due to its moderate difficulty. With 450m of elevation gain, it’s still going to make you work for the prize, which in this case is Dreischuster Hut, complete with spectacular panoramic views and a hearty meal. The route takes you first on a gravel trail towards Sesto at the start of the Innerfeldtal Valley, before taking you off onto a road which climbs toward Dreischuster Hut. 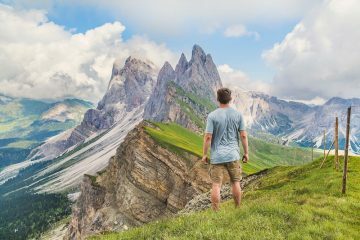 You’ll gradually climb higher and higher until you catch a glimpse of the mountain refuge through a gap in the pristine woodland. 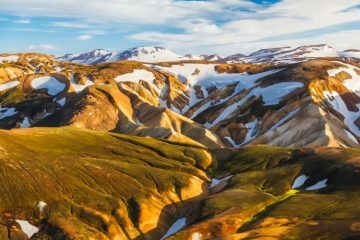 Once at the top, the stillness and quiet nature of the area really takes hold, and all that is left to do is soak up the scenery, refuel and then prepare for the gentle, enjoyable descent back downhill. Find more mountain biking routes on the official website for the Three Peaks Region.